With each passing day, businesses are becoming progressively aware of the tremendous potential in execution, performance, agility, and cost effectiveness of changing inheritance systems to the new-age future-ready Microsoft based cloud systems. To accomplish seamless migration, you require expert cloud migration services from seasoned experts or professionals. At Katpro Technologies, we know the art and science of migration to cloud services with the right blend of risk mitigation strategies. There are various important considerations you need to consider into account while choosing, deciding and planning to move your processes to the cloud. Our services are designed to take the weight off your hands and provide you with fast, no-hassle migration. This way your development and testing environment benefits from a visibly shorter process duration and better efficiencies. We help you migrate your applications to Microsoft Azure virtual machines. 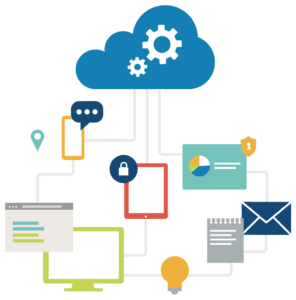 This enables you to quickly build, deploy and effective manage development and test environments on the cloud. Our migration standards focus on ‘lift and shift’ i.e. migrating without changes to your source code and continue providing a seamless integration with on-site applications or data. This is ensured in two way. Simplify your whole IT setup and bring in higher efficiencies with our Core infrastructure migration, Cloud Storage, Identity and access management and Hybrid IT services. With this simple workflow, we stay connected with our customer every step of the way, carrying out migration in a satisfactory manner. Use our migration services at Katpro Technologies, and you can consistently migrate all your on-premise processes, software and servers to the cloud with zero hassle and zero downtime.